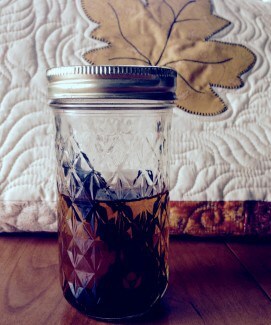 Easy DIY Homemade Vanilla Extract that's better than the store's! Place the beans in a glass container. I use a pint mason jar. You could have a blast shopping for a vanilla bottle at a specialty cooking store or even at Goodwill! It is imperative the jar is sterilized though!! Cover the beans with vodka. I use 100 proof and it’s never the pricey brand. Vodka has no overbearing overtones to detract from the vanilla flavor or smell. Label your jar with the date and place in a cupboard where you will remember to shake it every now and then for about 4 – 6 weeks. Your vanilla is ready to use when it tastes and smells “right”. This sounds arbitrary, but we all know how vanilla extract tastes and smells. As you use your vanilla, top off your jar with vodka. This works when you are not using the extract daily. It does need to sit to steep for a bit between uses. At some point — and you will know when — it’s time to use up the extract and start fresh. Do not throw out your beans, however! Chop them up and use in homemade ice cream! 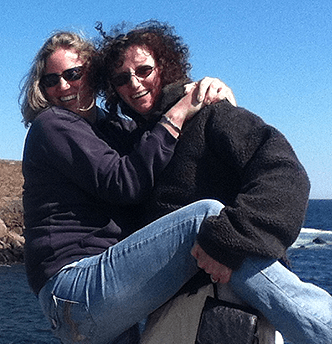 Waste not, want not, People…. This post was inspired by my organic healthy brownie recipe. How else do you use vanilla beans?